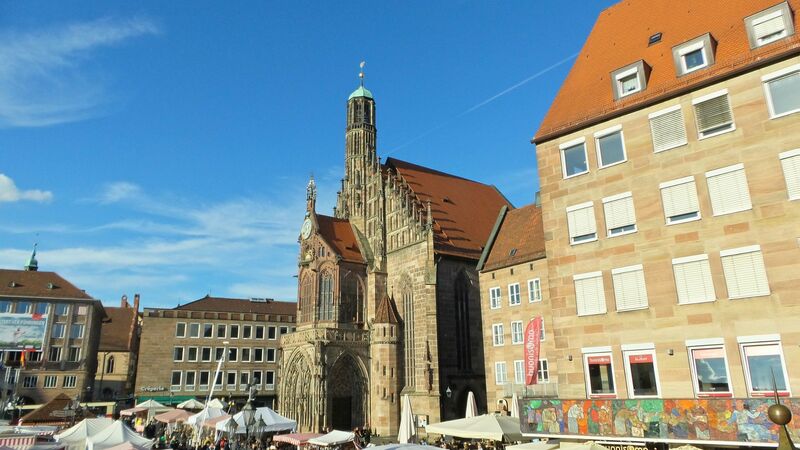 After making a crazy decision to go to Oktoberfest in Munich out of nowhere, I had an even crazier idea to visit Nuremberg first. 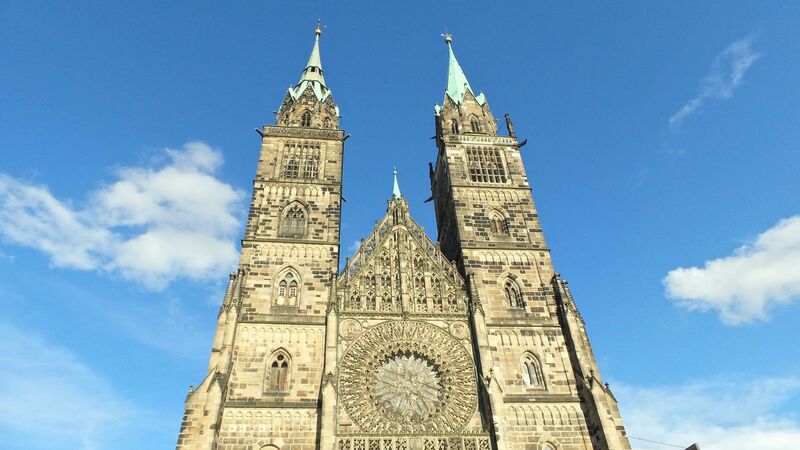 The reason was justified – my friend, Milena, that traveled with me has an aunt in Nuremberg, who welcomed us in her home and the flight to Nuremberg was quite cheap too. This gave us extra days to explore the beautiful country of Germany. Looking back, it was an excellent decision. Walking around, exploring, taking selfies, tasting the food, enjoying life. We got to Nuremberg via a direct flight from Skopje somewhere around 5 PM local time. We used Wizz Air because it offers the cheapest flights for Skopje/Nuremberg destination. Milena’s cousin was waiting for us at the airport. She thought us how and which tickets to purchase for the public transportation, including S-Bahn, U-Bahn, and the bus. Before we went to her mom’s apartment, she treated us to a delicious lunch at Alex’s, a trendy place right in the center. Even though we weren’t expecting busy streets during a Sunday afternoon, it turned out that we came right in time for the Nuremberg Altstadt Festival. It provided for a lively and festive atmosphere. There were lots of well-dressed people as well as lots of tourists. The streets were clean and there were lots of trees everywhere; believe me, that’s a real shock for someone who spent months in Skopje. We were happy and in a good mood. We had an awesome lunch and tried some German beer; honestly, I couldn’t think of a better start than that. The place in general – very beautiful, clean and rich with history and culture. I just loved walking around the streets and enjoying the views from the numerous little bridges across the canals. 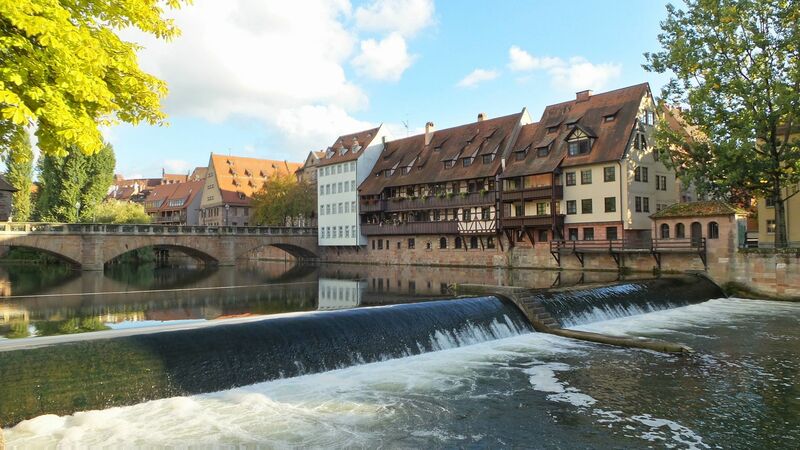 Nuremberg is not a regular tourist spot, it’s more of a town where you get to feel the German way of life. It is not too big and it can be explored in 2-5 full days, depending on whether you like spending time in museums or not. Parking – since we weren’t there by car, we didn’t really bother too much about the parking. We did notice parking zones and parking machines as well as some garages. The prices, however, are unknown. What we used was public transportation. Public Transportation – More precisely U-Bahn and S-Bahn. We bought a day-group ticket (maximum of 2 adults and 2 children) whose price was 11-12 EUR. We found it quite affordable and practical. Just know you must stick together in case an inspector shows up. The ticket is valid for any of the transportations (S-Bahn, U-Bahn, bus) within the Nuremberg network. The price of the ticket varies based on the travel network chosen (central Nuremberg is the cheapest of course). 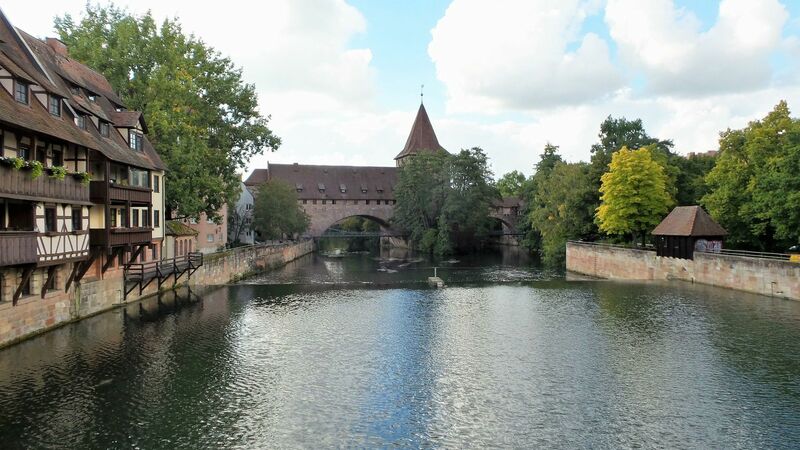 Nature – Germans are so into nature and every city, town, and village are a perfect image of that; Nuremberg was not an exception either. The town was perfectly clean with lots of gardens, trees and parks for recreation, relaxing and sports activities. Shops – honestly, we didn’t have the time for shopping, so I can’t really review the shops from that perspective. However, I can tell that the souvenir shops were quite expensive and everything was around 4-5 EUR; in comparison to 1-2 EUR souvenirs in Greece, that’s certainly not cheap. The supermarkets and pretty much everything else was closed by 8 PM, so if you want to buy something have this in mind. We had only a day and a half to explore Nuremberg and I think we made the most of it. Other than recommending you to buy a train ticket to save time by using public transportation rather than walking, I can’t really think of anything else. We were lucky to visit during Altstadt Festival and therefore it was fun and cheerful in the city center; otherwise, we were told, it gets quiet and empty after 8 PM. So, if you want a more festive atmosphere go during the Alstadt Festival or, naturally, during the Christmas period. Below I will list only some of the things we managed to see; however, keep in mind that there are a lot more building, churches, and museums that you should visit if you have the time. Nuremberg Trials Museum– This exhibition memorial is dedicated to the Nuremberg Trials, post-World War II trials of Nazis war criminals. 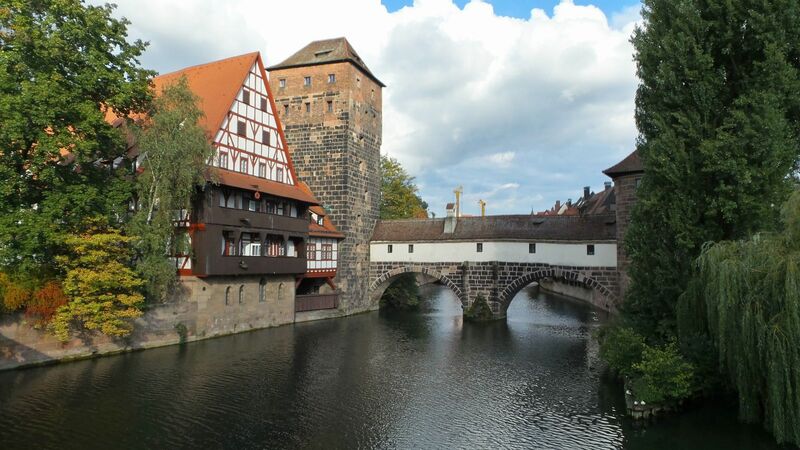 Kaiserburg Nurnberg (Nuremberg Castle) – of course, the Kaiserburg Nurnberg is on the list! First of all, this place offers possibly the best view on the town thanks to its location; second of all, there are several museums you can visit inside of it. 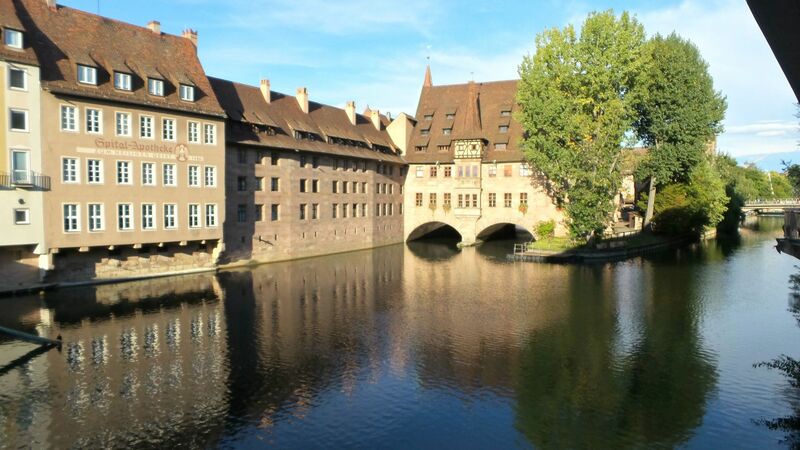 Plus, it really is a historical and architectural treasure that must be experienced when in Nuremberg. We were sad to leave Nuremberg after only two nights spent there; we really enjoyed the town, everything it has to offer and especially the time spent with Milena’s aunt and cousin. However, we were also very excited to move on to Memmingen and all the adventures awaiting us there. After all, knowing that you will visit Oktoberfest for the first time and then see the gorgeous Bavarian castles is more than enough to cheer you up. What a quaint feel to this town Iva. Love it. I am happy to see the city is green too, amid all of those impressive looking buildings. 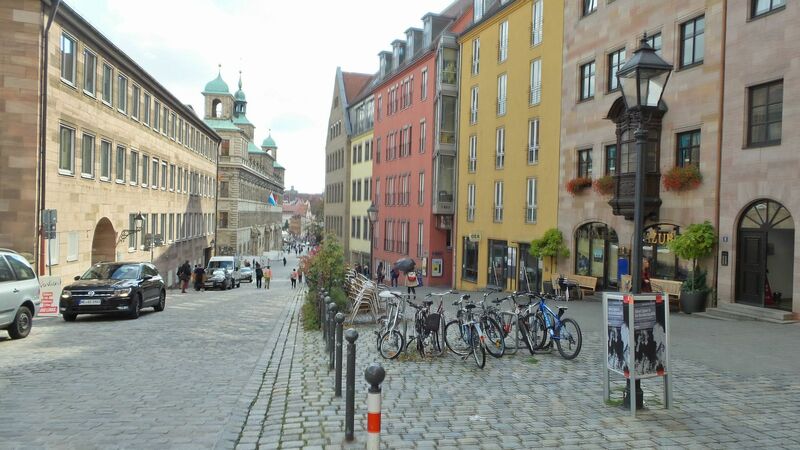 Germany is on my travel list – my mom is from the Black Forest – and Nuremberg is right up there. I always recall the place being associated with a big race. Thank you for the very lovely comment. It was my first trip to Germany, and I loved it. The country is so green and beautiful. The German’s are very environmentally friendly, even more so than Americans. Hope you check out my other posts about Germany, especially the photography from Ludwig’s Castles. I hope one day to go back and visit the Neuschwanstein castle again. Nice elaborate post. Never heard of this place but it looks like a nice place to go for a quiet and chilling vacation. to actually forget about work and such. 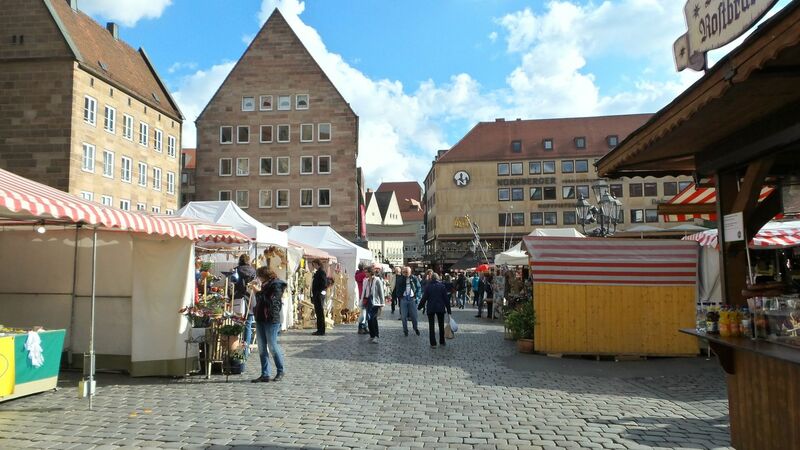 Nuremberg is very quite beside September during Altstadt Festival and December during the Christmas Market. Most stores close at 6 PM, and convenience stores by 8 PM. It’s a really beautiful town, and the view from the castle is amazing.